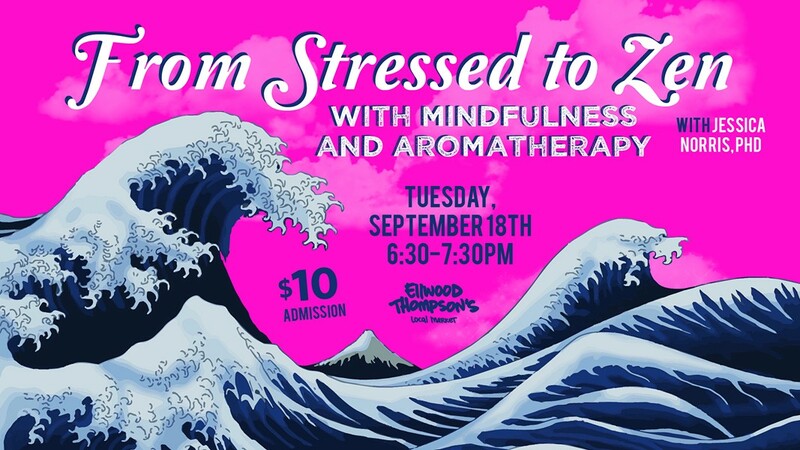 From Stressed to Zen with Mindfulness and Aromatherapy | Ellwood Thompson's Natural Market | Happenings | Style Weekly - Richmond, VA local news, arts, and events. Would you describe yourself as stressed? Frazzled? Overwhelmed? Join Dr. Jessica Norris who will discuss mindfulness and aromatherapy techniques and how to naturally help reduce stress, find calm, and stay energized in both body and mind.